On this day, the world lost a true visionary. As the genius behind Apple, Steve Jobs will never be forgotten thanks to his abundant contributions to the world of electronics and digital media. In addition, we must remember his efforts to invigorate a once fledgling hardware company into the leading animation powerhouse that we know today as Pixar Animation Studios. "Steve Jobs was an extraordinary visionary, our very dear friend and the guiding light of the Pixar family. He saw the potential of what Pixar could be before the rest of us, and beyond what anyone ever imagined. Steve took a chance on us and believed in our crazy dream of making computer animated films; the one thing he always said was to simply ‘make it great.’ He is why Pixar turned out the way we did and his strength, integrity and love of life has made us all better people. He will forever be a part of Pixar’s DNA. Our hearts go out to his wife Laurene and their children during this incredibly difficult time." Update: The Pixar homepage has been updated to reflect Jobs’ passing. Pixar Appearances: Ed Catmull + Cynthia Slavens! If you live in the Aloha State, you may just get to meet the man behind Disney and Pixar. The studios have set up a screening of Toy Story 3 and Day & Night in Honolulu with a special introduction by Ed Catmull himself! Meet Cynthia Slavens, a post production manager at Pixar. She held a talk on Pixar’s innovation as part of the Syracuse International Film Festival today. I’m sincerely sorry that I missed informing you guys about this earlier because she’s got quite a cool job; Cynthia is in charge of Pixar film distribution, making sure that tranfers from theatres to TV, DVD, and even in- plane entertainment goes well! But what makes Slavens extra special is that her story is similar to how many Pixar fans, including myself, wish their lives would turn out. She was actually a huge Pixar fan before applying, so "[i]n that respect, it makes [her] job easy." After seeing Monsters, Inc. (that movie inspired me too!) her dream job was established and she fulfilled her ambitions in 2005. Although you may not be able to hear her talk in person anymore, you can learn more about Cynthia here. 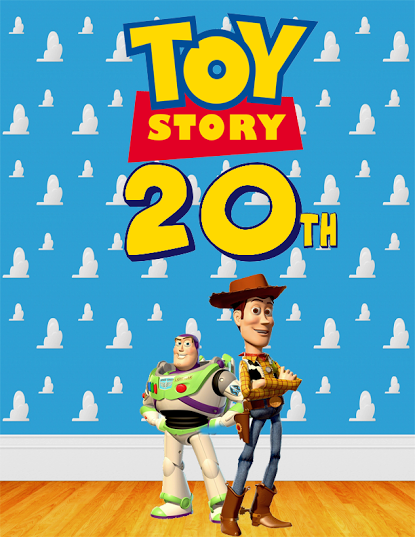 Did you attend Cynthia Slaven’s talk; will you be attending the Toy Story 3 screening in Honolulu? Let us know! Three VES Award Nominations for Up; Ed Catmull to be Honored! This year, Pixar will be especially well represented at the Visual Effects Society Awards, not necessarily for Up, but for the studio’s world-class leadership and innovation. Regardless, Pete Docter’s latest is in the running for three categories at the upcoming ceremony! For Outstanding Animation in an Animated Feature, Up is going head-to-head with 9, Coraline, Cloudy With a Chance of Meatballs, and Ice Age 3. The film is also in the running for Visual Effects in an Animated Film alongside Coraline, ‘Cloudy’ and Monsters Vs. Aliens. Carl Fredricksen and his real-life representatives are set to compete against Coraline, B.O.B. (Monsters Vs. Aliens) and Buck (Ice Age 3) in the Character category for ‘toons. Nominees range from the film’s director and producer to effects artists, animators, voice actors and more so unfortunately we won’t list them all here. You can check the full list at VES’s site. Also of note, it was recently announced that Pixar’s President and co-founder (who’s finally tweeting) will be honored by the Visual Effects Society with their Georges Méliès Award for Pioneering. I honestly can’t think of anyone more deserving of this prize, after all, Ed Catmull is one of the fathers of computer graphics and the special effects it can achieve. In fact, much of the media we experience today probably wouldn’t exist without this incredible individual. The 8th Annual VES Awards will be held on February 28th in Beverly Hills, California. The show can be seen March 5th on ReelzChannel. Congratulations to Ed Catmull and good luck to the Up team! Lately, Ed Catmull has been floating around the Twittersphere (will he update his account?) in the form of a very interesting video lecture titled "Keep Your Crises Small". I hope you enjoyed the video and absorbed some wisdom from Pixar’s founder! Related: Also of note, USC News reported on Ed Catmull’s very recent talk at the Ray Stark Center. Give it a read here. Ed Catmull to be Honored by VES: The Visual Effects Society announced today that they will be presenting the George Méliès Award to Pixar President and co-founder Ed Catmull! The prize’s description defines Catmull very well since he pretty much "pioneered… the art and/or science of the [CGI] visual effects industry." He will be accepting the honor during the VES Awards on February 28th, 2010. Up in FoxTrot: The popular Sunday comic strip, FoxTrot by Bill Amend, featured a certain Pixar movie that’s been making waves at the box-office. When one of the kids watches Up in theatres, he’s inspired. But what exactly does he do with that inspiration? Click here to see a large version of the hilarious strip. Toy Story 3 Grows Up: The word "mature" brings up different thoughts in different people; some think of it as inappropriate for younger audiences, others as smarter and wiser, and some think of it as a term for violent content. Whatever your perception of the word, this is what BURN•E director and acclaimed animator Angus MacLane had to say to Cinematical about Toy Story 3: "…each of the films represents where the filmmakers were at the time… we’re approaching [TS3] 10 years later… we’ve grown up with these toys, and we have a reverence for them, but we also have different things as a priority." Working off of those quotes, Total Film has also explored some odd possibilities for this "grown-up" plot, I’m sure it’s a joke, of course. Notice Something? : Look at the title of this article, doesn’t that date look familiar? Well, it should because it’s the second anniversary of Ratatouille! Go make yourself something nice to eat in honor of Chef Remy! Notice something else, it’s the one month anniversary of Up. With reviews and revenue like that, Pixar must be celebrating BIG! Update — Doug Sweetland Invited to the Academy: Acclaimed director of Presto, Doug Sweetland, was recently invited into the Academy of Motion Picture Arts and Sciences. Sweetland will be part of the animation branch of the Academy and will be able to vote on the Oscars. Also of note Peter Gabriel, performer of WALL•E’s original song Down to Earth, has also been invited to join. Learn more about the other 134 inductees in the official press release. Did anything in Woody’s News Round-Up catch your eye, tell us in the comments section!